For Sanskrit Aaron Zuckerman, it isn’t easy to believe. Especially when all the people you care about leave. His dad left after the divorce. The love of his life left in second grade. His best friend in Jewish school found God and practically left the planet. Now his yoga-teacher mom is falling in love with her spiritual guru, and she’s threatening to leave, too. In a desperate attempt to keep his family together, Sanskrit tells just one small lie. And for a while it seems to be working. Because people start coming back. Sanskrit might even get the family he always wanted. There’s just one little thing in his way. The truth. 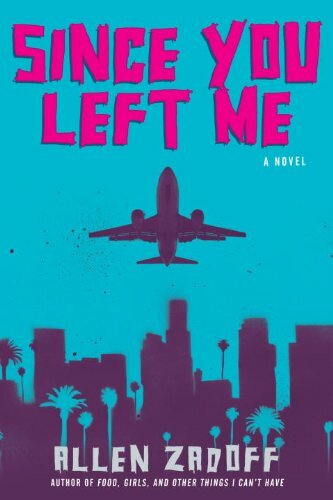 Against the setting of modern-day Los Angeles, YA author Allen Zadoff presents a funny and heartbreaking novel about the search for love—and meaning—in a world where everyone is looking for something to hang on to. Allen Zadoff is also the author of Food, Girls, and Other Things I Can’t Have, winner of the Sid Fleischman Humor Award,My Life, the Theater, and Other Tragedies, and the upcoming thriller seriesBoy Nobody. He was born in Boston, Massachusetts, and went on to live in upstate New York, Manhattan, Tokyo, and Los Angeles. A former stage director, he is a graduate of Cornell University and the Harvard Institute for Advanced Theater Training. He currently teaches writing in Los Angeles. Visit Allen at www.allenzadoff.com.